The taxpayer had become behind on its sales tax obligation to the state of Indiana. The client had been receiving collection calls relentless from the states third party collection agency. The client tried working out agreements with the collection agency but the IDR had not sent all the periods at once but occasionally another delinquent period would appear and the taxpayer was once again be at square one. The taxpayer retained TMS to put all outstanding liabilities into a single payment plan with the IDR. We reviewed the company’s account with the IDR. We identified some returns that IDR had estimated for the taxpayer which needed to be filed. We also discovered that the company’s retail merchant certificate was set to renew in three months. The company was in jeopardy of losing it retail merchant certificate with the IDR. TMS ensured that the correct liability was reflected with the IDR and an payment plan was obtained prior to the retail merchant certificate renewing. The client is now in good standing with the IDR and will have a clean slate once the payment plan is fulfilled. 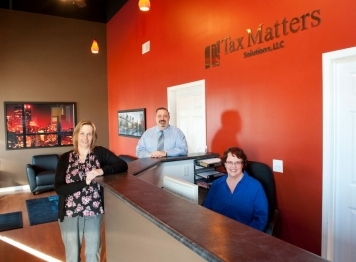 Tax Matters Solutions was referred by one of our clients. The new referred client has employed the same accountant for almost a decade. The client is tired of receiving notices. Every taxing agency known has sent her a notice and most of them are charging her penalties and interest. Her frustration was apparent and well deserved. As we started to work her case we became aware that the previous accountant had never filed anything electronically. The old accountant was not aware that all payroll tax payments are handled online. In addition to not filing returns online, the prior accountant would file forms that he had just made up the numbers. The client’s monthly and quarterly filings didn’t match the annual filings. We had to fix 4 years of payroll tax filings and payments. We had numerous issues to fix, some of the items that needed fixed couldn’t be fixed until other items were posted and fixed. This project took several months to fix, but today the client is living notice free.